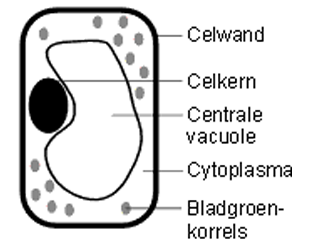 You learn how the parts in cells are called and how they look. 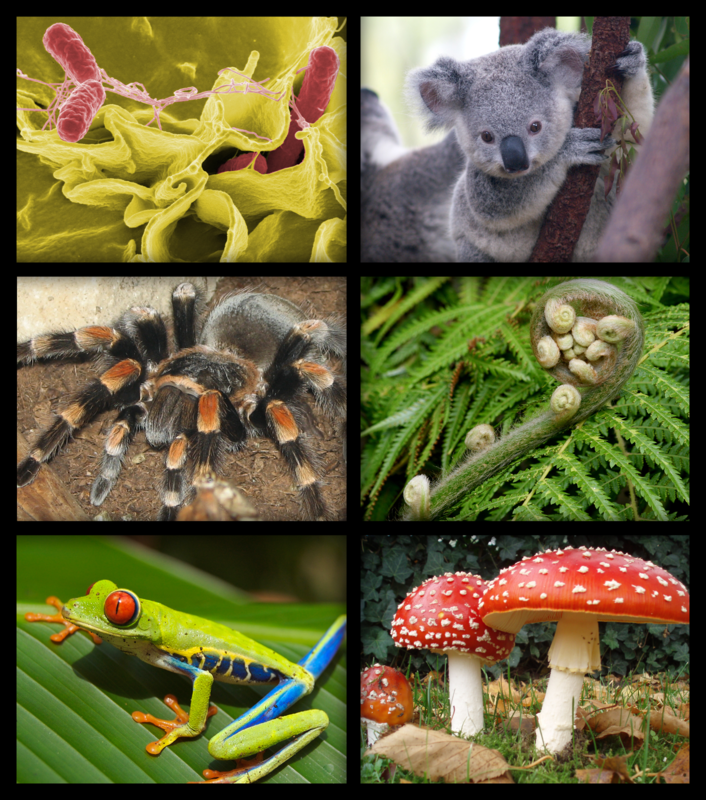 Bio-logisch, where biology comes to life. 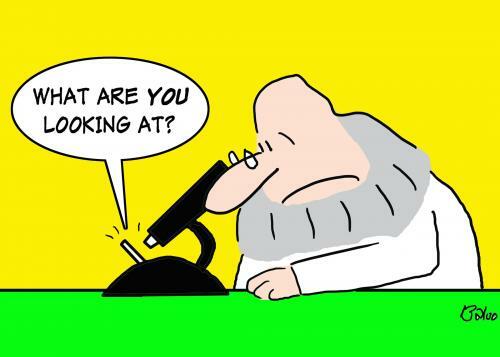 In this lesson you will look in the microscope for the first time. Let's see what a cell is again. 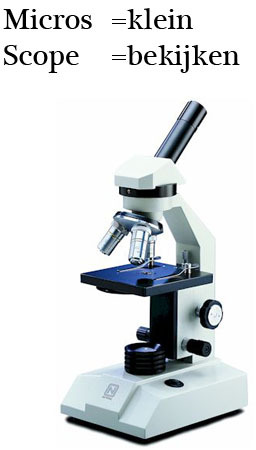 Before you start your work with the microscope you have to know its parts the parts of the microscope. 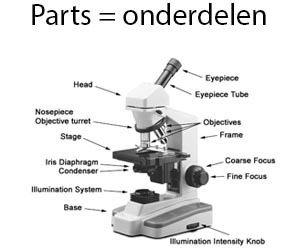 Parts of the microscope in english. You need to know the parts in dutch AND in english. This is an embedded Microsoft Office document, powered by Office Web Apps. Did you make a good schematic drawing of onions and corn? Did you think about the drawing rules? 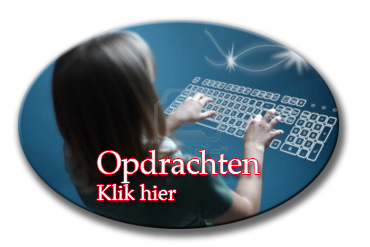 Did you do the assignments (opdrachten)? Here you see some little organisms from outside water under a microscope. Look and be amazed. Here you see Red bloodcells bloodcells through (door) the microscopen. In this film the cells are magnified a 100 times. 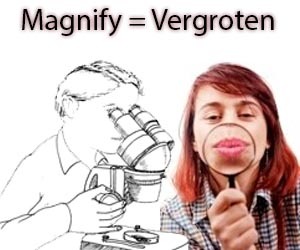 The microscopes at school can magnify 400 times. Realistic: With realistic drawing you draw all the details. 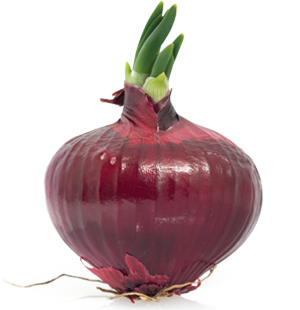 You are going to watch a part of an onion and a part of some corn. You will have to make a schematic drawing. Mind the drawing rules and also the rules about behavior (gedrag) in the classroom. 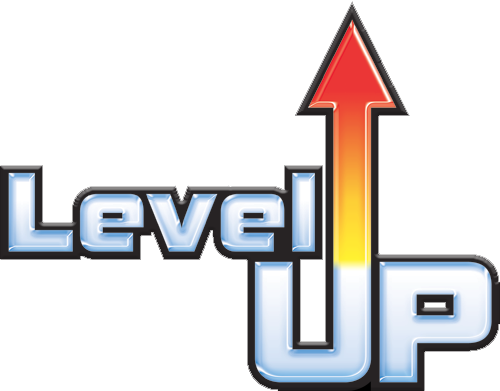 If you have forgotten them please look them up in Level 1. Choose 10x10.